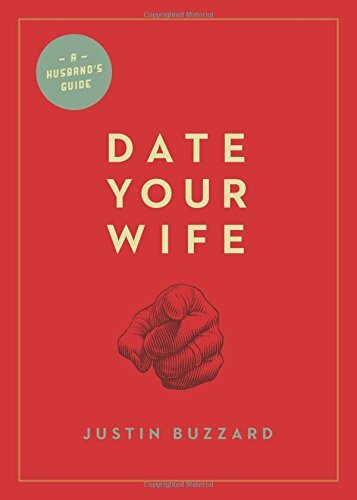 Justin Buzzard's book, Date Your Wife (Crossway, 2012), was a wake up call for me. Buzzard writes, "Most men think the mission ends after they marry the woman they love... The reality is that the mission has only just begun." He spends the rest of the book reminding me to continue to date their wife. Continue to pursue them while at the same time protecting them. When I read the book, I was failing at pursuing my wife. The idea of a regular date night was a novel concept to me. I thought a date had to be elaborate and expensive. But if your date nights are always an undertaking, you may have adopted a performance mentality--looking to prove your love by topping your last date night with one that's bigger and better. More important than being elaborate is being regular and consistent. Being together is what makes it a date. You don't have to go out to have a date. But sometimes what makes staying in most meaningful is not doing the ordinary. Don't turn on the TV. Let the laundry sit (And if you must do housework, the key is to do it together). Put your phone down. Make dinner together--and not the usual stuff. Try making something fancy. Build a fire and just hang out. Play a game (You know, the one you hate, but she loves). Pull out the your wedding album and reminisce. Does your wife have any hobbies the two of you can do together? Scrapbooking? Card-making? Have you considered learning about it with her? Be creative. The key is spending time together and sharing your time and heart. Go for a walk in the park or by the river, lake, or ocean. Explore that part of your city you have always wanted to see. Walk through the mall or shopping center and window shop or people watch. Walking (or running together if you're so inclined) is not only good exercise; it's also a good way to unwind together. Sometimes we just need to talk. We need to get alone--away from the craziness of the daily routine--and talk about what's working and what's not. We need to talk about our strengths and weaknesses, where the kids are at, and about our hopes and dreams. When you go out to talk, it's important to listen to one another. Don't judge or try to fix. Just listen. Intentional listening is necessary not only to get on the same page but to truly grow in oneness (Gen. 2:24; Matt. 19:4-6). Communication is how the two of you learn you are stronger together than you could ever be apart. While this can be done at no cost, sharing a coffee or drink and a long conversation might be the best investment you can make in the health of your marriage--much more beneficial than a fancy dinner or show. Date nights are important. Husbands, make them a priority. Be intentional. They don't have to cost much. Just spend time together. It's one of the major keys to growing that intimacy. I know I've missed some ideas. If you have great ones, share them in the comments below.